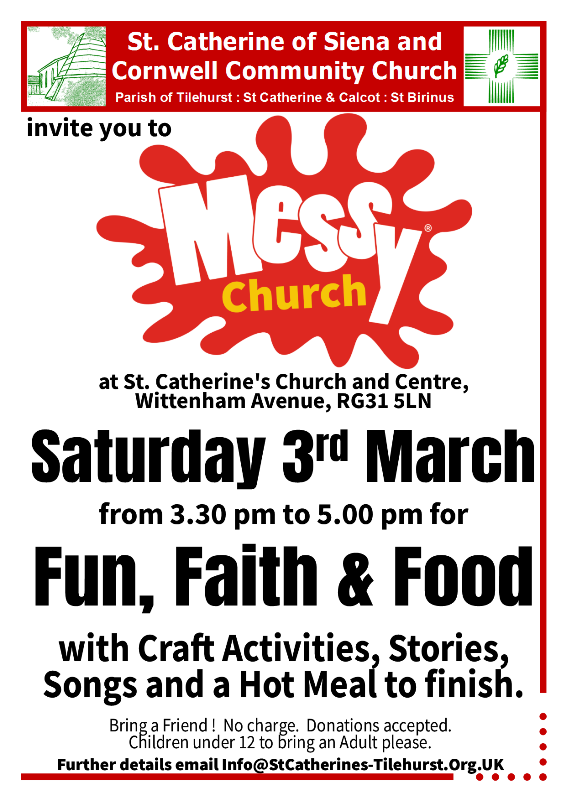 Our next Messy Church is Saturday – March 3rd, so please join us if you can at St Catherine’s for Fun, Faith and Food. We’re in the season of Lent. You’ve had your pancakes and possibly given something up, but does that tell us anything about Lent ? Come along on Saturday to find out more. It would great if you can join us – on Saturday 3rd from 3:30pm – and why not make it more fun by bringing a friend! Please look out for our new Menu in the Café. The same great items, but now with more filling combinations. And don’t forget to ask for our daily special ! The Café is open 10am to 2pm every Thursday and Friday. 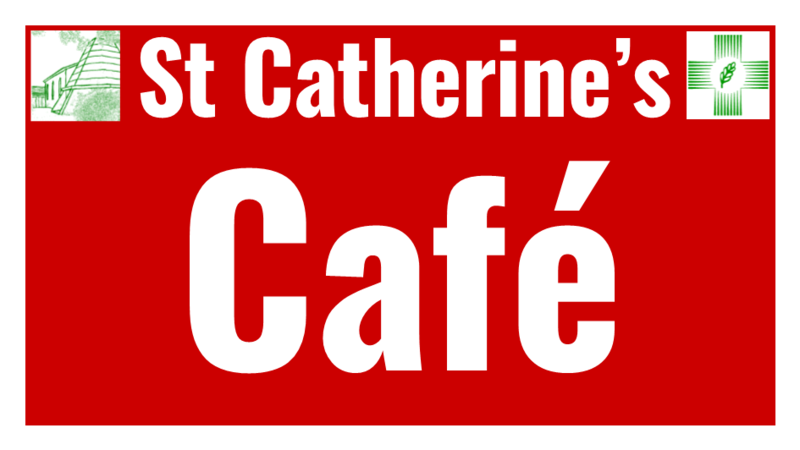 The cafe will be closed on Friday 23rd February as St Catherine’s is hosting another 2 day Diocesan Conference. The Café will be open as usual on Thursday 1st March. A speaker from Christian Aid will be joining us at our 9:30am service this Sunday 18th February. Looking for ways to de-stress? Wanting more being and less doing? Discover and practice some simple exercises that enable relaxation, centring and body awareness. 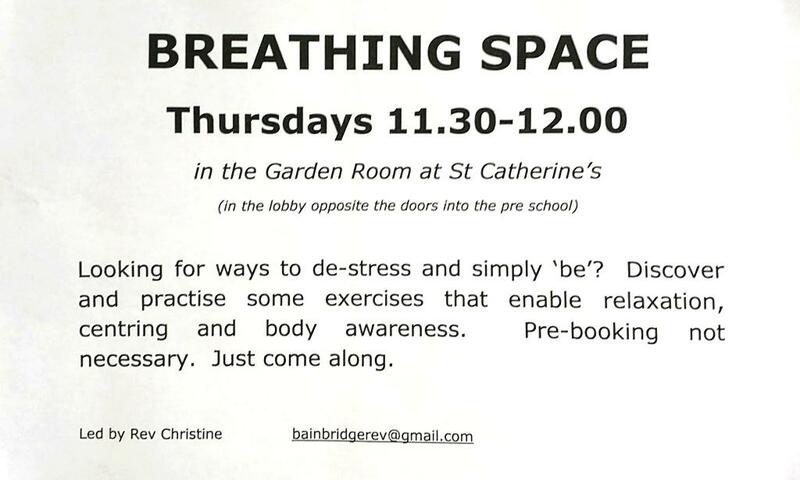 Rev Christine Bainbridge will be offering a 30 minutes relaxation and centring session entitled Breathing Space – every Thursday 11.30 am – 12 noon in the Garden Room. Pre-booking not necessary. Just come along. 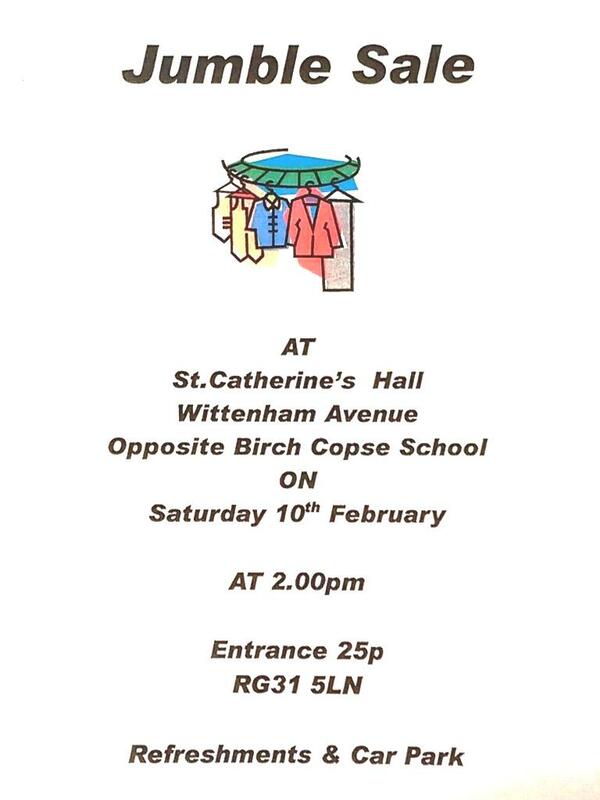 There is a Jumble Sale in St Catherine’s Hall on Saturday 10th February opening at 2:00 pm. This morning – Sunday 4th Feb – it was announced that Revd Gill Rowell is expected to be our new Vicar. As well as the announcement by the Churchwardens at both Cornwell and St Catherine’s , a brief written introduction to Gill was handed out . It is reproduced below. 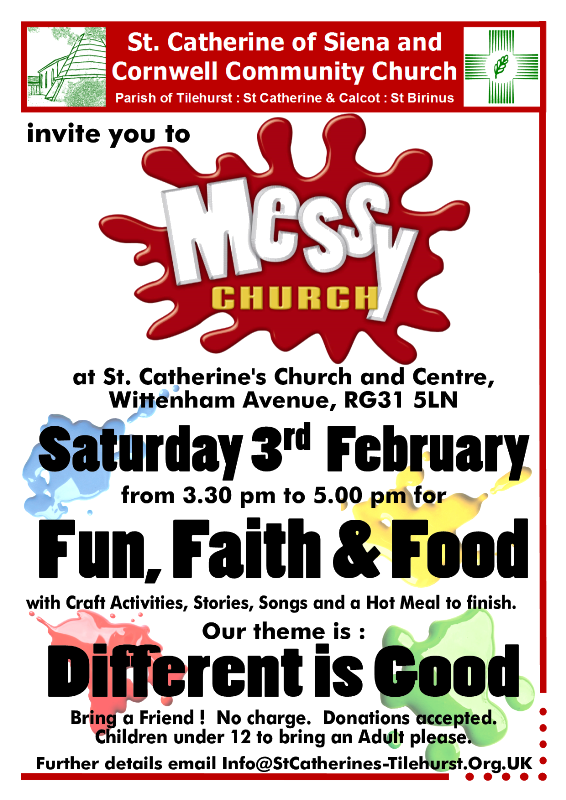 Our next Messy Church is Saturday – Feb 3rd, so please join us if you can at St Catherine’s for Fun, Faith and Food. Our theme this week is ‘Different is Good’ where we’ll be thinking about how God’s message is for everyone, despite our many differences. Our food is Sausage Casserole and Pasta (with a veggie option available if you’re different 🙂 ). Desert is Scotch pancakes with bananas and syrup.